Ninety percent of a new B2B product’s development costs occur after the idea evaluation stage.1 To limit financial loss on new products, gauge future customers’ acceptance or rejection of the idea early in its development. 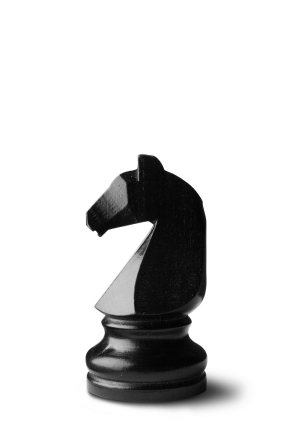 A third party using a stalking horse* idea can elicit unique, valuable responses from future customers about marketplace acceptance of the idea. The third party uses a brief description of the idea as a stalking horse and does not reveal the innovator’s identity. Competitors do not learn the identity of an innovator who wishes to use the new product to enter adjacent or new marketplaces. Objective responses from future customers often prove elusive when they know the innovator. In our experience when the innovators’ identity is unknown, customers offer more unmet needs and deeper explanations about why they value these needs. Lead users and early adopters self-identify when they say something like this to the third-party agent. “I know you can’t tell me who the innovator is. However, when you finish the project I want your client to contact me as soon as possible.” These customers purchase the new product early and often. They help the innovator work out unavoidable bugs that come into view after the product launches. Early days in the life of a new product idea are full of ambivalence. The innovator may procrastinate and keep tweaking the idea before putting it in front of future customers. However, we’ve found it’s better if the innovator uses a third-party to put rough ideas in front of customers and takes the customers’ suggestions on desired outcomes to heart. As a gatherer and analyzer of information for clients I’ve used stalking-horse ideas since 1985. Most began as bare-bones ideas. The clients wanted to add outcomes desired by future customers when the product was employed. Using these stalking-horse ideas resulted in a rich understanding of marketplaces adjacent to the innovator’s current marketplace. Lead users and early adopters were identified. They gave unique, valuable responses on expressed and latent unmet needs. The client and I built these responses into a compelling value proposition to guide development and the product’s launch. Since 1985 I’ve used the phone to elicit expressed and latent needs from more than 6,000 respondents around the world. Call me at 203/323-4075 to start a conversation about unearthing B2B customers’ needs and new opportunities with a stalking-horse idea.